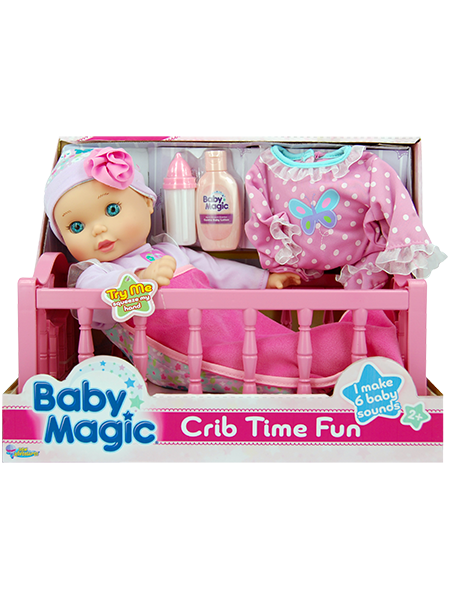 Press the baby’s right hand and she will make up to 6 baby sounds! 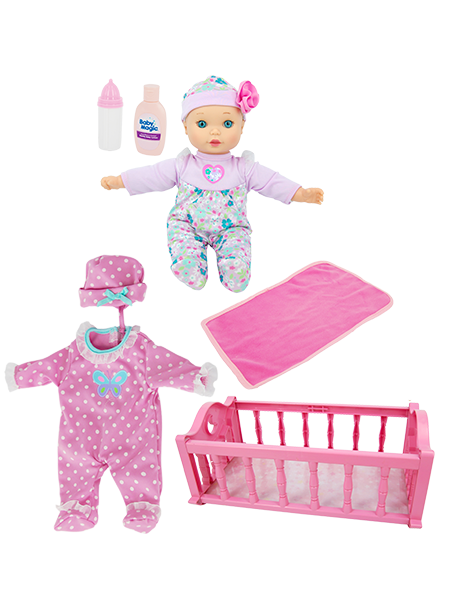 Set includes baby doll, molded crib, 2 play bottles, blanket and extra outfit. 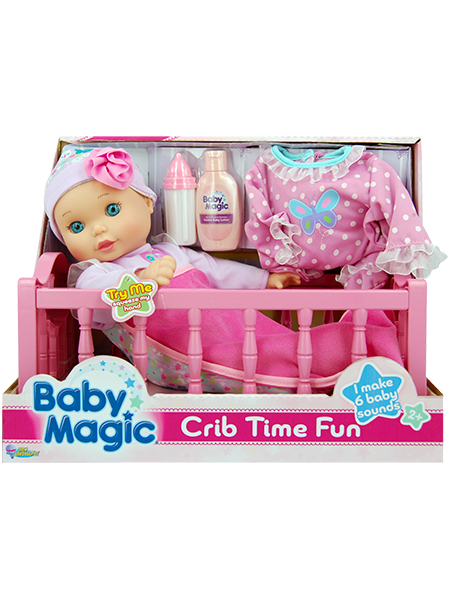 Baby doll is scented with the Baby Magic Lavender scent.